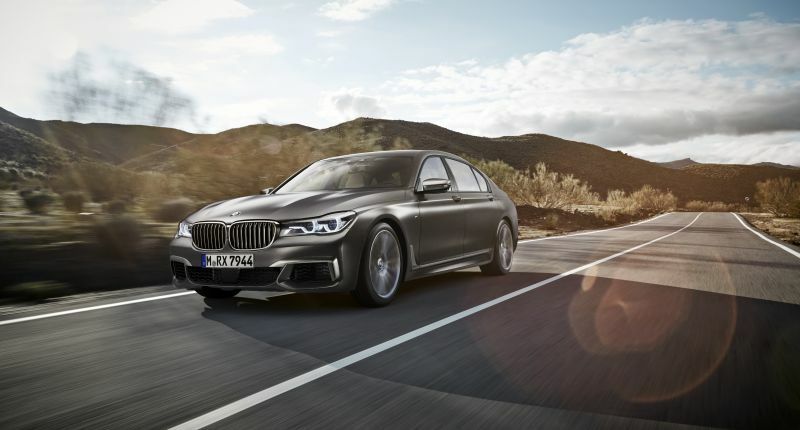 If you feel like your current high-powered German saloon doesn’t tell people just how serious-minded and, well, high-powered you are, you might be pleased to learn that the BMW 7 Series has a new flagship. Called the M760Li xDrive, the car comes with a 12-cylinder petrol engine with M Performance TwinPower Turbo technology under the bonnet. That engine is capable of pushing 448 kW (600bhp) at 5 500 rpm. While that hardly puts it in the realm of tear-your-pants-off speed, it’s more than sufficient for the kind of people likely to be driving the M760Li xDrive (the name doesn’t exactly roll off the tongue, does it?). According to BMW, the car will take you from 0 to 100 km/h in 3.7 seconds on the way to an electronically limited top speed of 250 km/h. If the optional M Driver’s Package is specified, the speed limiter doesn’t cut in until 305 km/h. From a tech perspective, you can look forward to all the driver aids you’ll find in all variants of the 7 Series range, including steering and lane control assistant, Lane keeping assistant with active side collision protection, Rear collision prevention and Crossing traffic warning functions. There’s also hint at where BMW’s going with autonomous driving, courtesy of the Traffic jam assistant, which can be used on any type of road. The Active Cruise Control with Stop&Go function reportedly now only requires drivers to press a button to incorporate speed restrictions detected by the Speed Limit Info function. The new generation of the Surround View system now also includes a 3D View and Panorama View option in the Control Display. And while BMW’s iDrive operating system can be operated by touch, as is the case with most new BMW’s, it also includes gesture control. The gestures can be used for a number of functions, including controlling the volume in audio applications and accepting or rejecting incoming telephone calls. There is also the option of pairing a specific gesture with an individual choice of function.